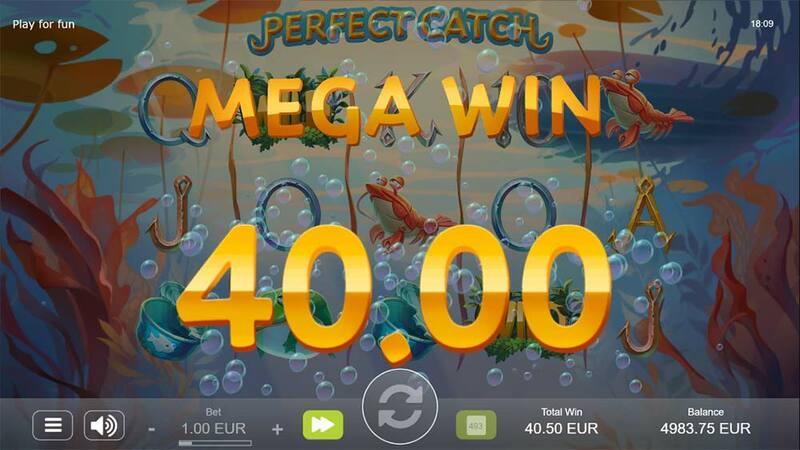 We Go on the Hunt for the Biggest Fish in the New Perfect Catch Slot From STHLMGAMING! 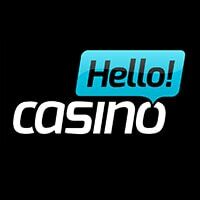 It’s a new week at Videoslots Casino which means lots of new online slots being added to their casino, this week sees 6 new titles including Hip Hop Panda, Spartacus Legendary Warrior, Bar X Hot Spins and our focus slot today Perfect Catch (STHLMGAMING / Relax Gaming), these are all live and playable right now! 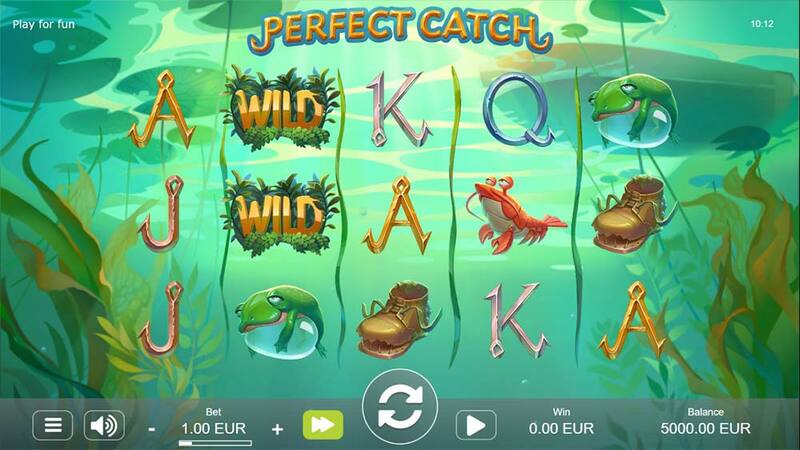 Perfect Catch is a fishing themed 20 payline slot from a smaller studio called STHLMGAMING who as also partnered with Relax Gaming so you will start to find this brand at many more online casinos in the near future. There is nothing too groundbreaking in terms of the special features on offer in this slot, but what you do have is a fairly solid 20 payline slot that feels like a medium variance machine but also boasts a maximum win of 2750x stake which is quite impressive. 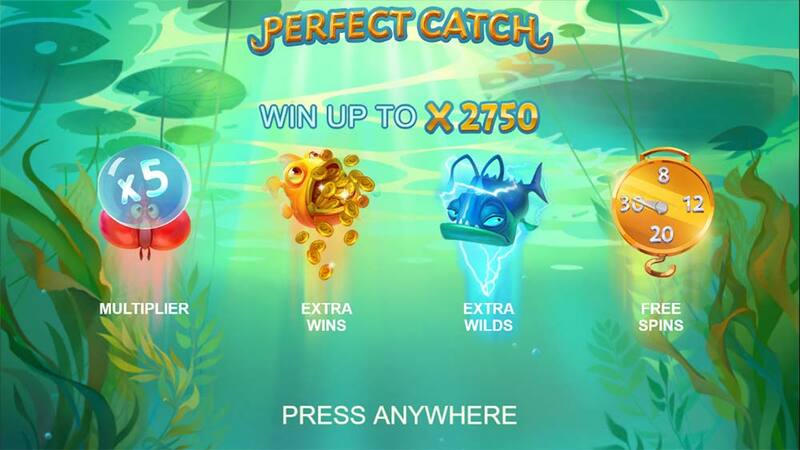 Most of the good stuff happens on the middle three reels with extra features that can include, Multipliers (up to 5x), Random Cash Prizes (up to 25x stake) and lots of Added Wilds, and these features do combine well with each other giving a nice mix of combinations and wins. 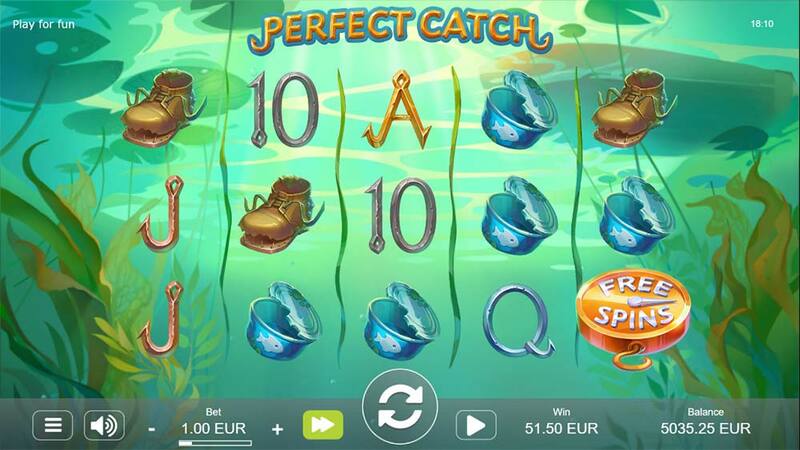 On top of this you have a special Fishing Scales symbol which is only present on the 5th reel and when this lands in view the free spins round is triggered, depending on the size of the catch the scales can land on anywhere from 8 right up to 30 free spins. The free spins round has all of the features mentioned earlier active during the bonus rounds and they do appear to be a lot more frequent in the bonus rounds, you can check out all of the special features and free spins modes in the gameplay video below. 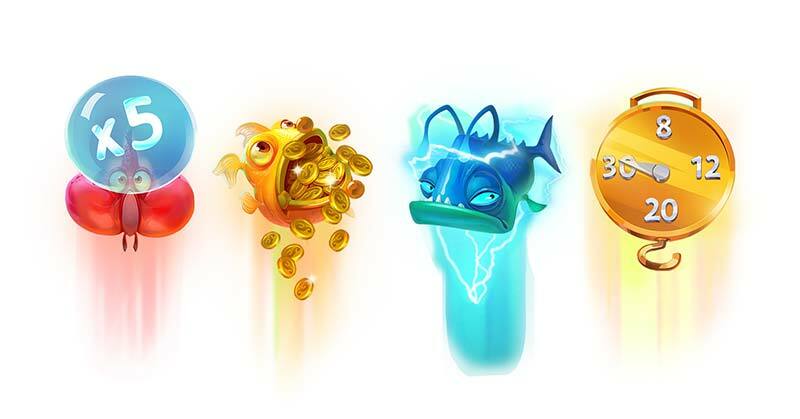 There are 3 special Fish symbols with extra features and these are present on the middle three reels during base gameplay, and appear more frequently during the bonus round. 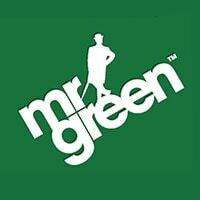 The free spins are triggered by the Big Fish Scale symbol which is only present on the 5th reel. Blue fish – Extra Wilds added to that reel up to 3. 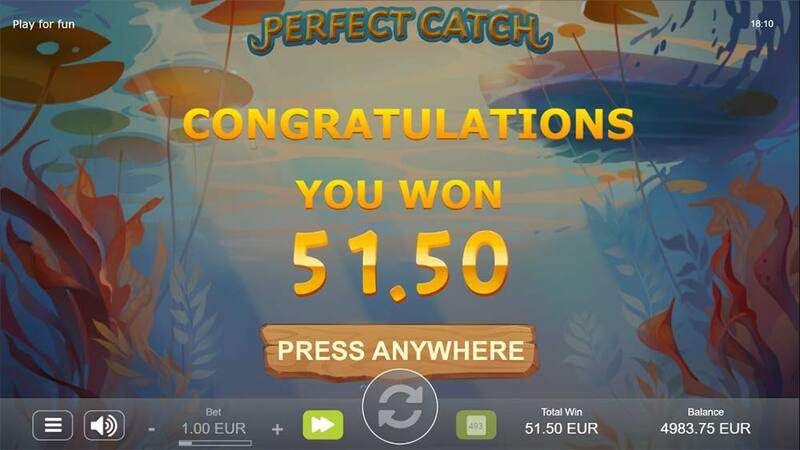 The Perfect Catch is a decent slot release from STHLMGAMING, whilst there isn’t too much groundbreaking stuff at play here it does have a nice mix of wilds, multipliers and free spins that combine and work well together. In our playtests, we didn’t manage to break a 100x stake bonus round, but this is going to be highly dependant on landing multiple special feature fish on the middle reels or a 5 of a kind wins with the premium symbols. There were a few niggles that will bother seasoned slots players too, the reel spin animations definitely needs some work as they fail to give us that real immersion of a slots reels spinning and slamming into place, and the short pauses for win counts and the mini-features to play out even if no win is forthcoming is likely to frustrate seasoned players after time. Thankfully there is a quick spin, and quick stop function built in which helps somewhat to skip the drawn-out animations. 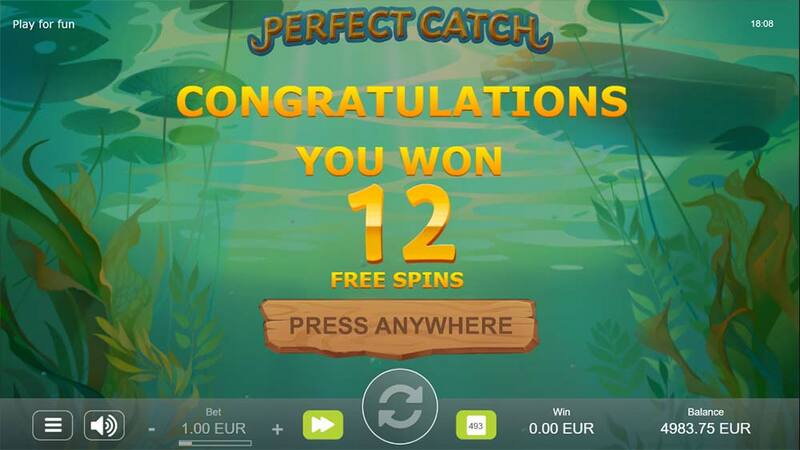 Worth checking out for a few hundred spins, and if you are a fan of fishing themed slots you can try this alongside Lucky Angler (NetEnt) and the popular Golden Fish Tank (Yggdrasil).